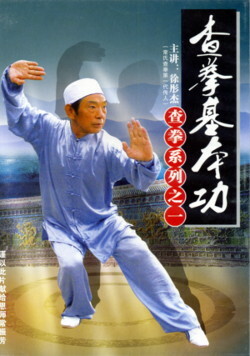 About the Performer: Sifu Tong Jie Xu is the first generation inheritor of Chang Style Zha Fist. 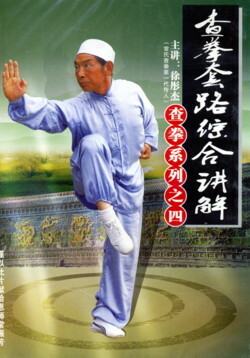 Zha Fist is a well-known Chinese Wushu. It belongs to Long Fist system. 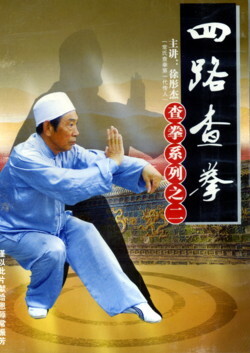 Its fundamental routines are Rebounding Leg (TanTui) and Hammer Fist (DaoChui). Each fundamental routine has 10 sets of movements. Simple and easy to learn. You can practise those routines seperately or simultaneously. Rebounding Leg is the fundamental of Zha Fist. It use 28 Muslim words to represent 28 sets of fundamental movements, called 28 TanTui. First 10 sets were more popular. Remaining 18 sets are more complex. 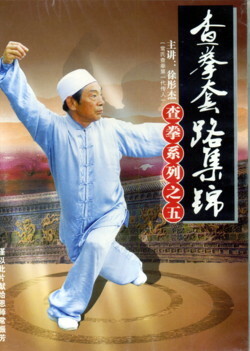 They were divided into 1st routine Leg Fist Form (Yi Tang Tui Quan Shi) and 2nd routine Leg Fist Form (Er Tang Tui Quan Shi). 4th Routine (Si Ru) Zha Fist is the 4th set of Zha Fist routines, also called 4th Routine Dragon Swinging Fist. Upper body forms are Fist, Palm, & Hook. Hand methods are Chong, Tui (Push), & Tiao... etc about 10 different hand, palm, and fist methods. Lower body forms are Ma (Horse) Step, Gong (Bow) Step, Xu (Empty) Step, Ding Step, Pu Step, & Xie Step...etc. Forms are clear and interchangable. 4th Routine Zha Fist is the most wide-spread routine in Zha Fist. It is the represtative routine of Zha Fist. It shows the characteristics of Zha Fist. Golden Dragon Closing Mouth, Returning Horse Leg, YaoZhi Catching Shoulder, Crossing Tiger, & 5 Tiger Palm are unique forms in Zha Fist. 5th Routine (Wu Ru) Zha Fist is the 5th set of Zha Fist routines. Forms are clear and interchangable. Movements are smooth and agile. It trains the agility, resistance, & bouncing ability of a person. 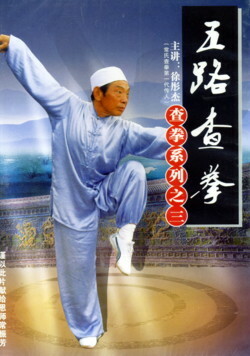 5th Routine Zha Fist was famous because of "Flying Tiger Leg". It's most unique and special form is "Duo Tui Zhuan Huan Tui" (Stamp leg turning leg). Traditional Advanced Zha Fist has 10 routines. 1st routine and 2nd routine each contains two sets of routine (Yin and Yang), so, technically, it has 12 routines. They are (1) Mu Zhi, (2) Hang Shou, (3) Fe Tui (Flying leg), (4) Seng Ping, (5) Guandong, (6) Maifu, (7) Meihua (Plum Blossom), (8) Lianhuan (linked), (9) Long Bai Wei (dragon shaking tail), (10) Chung quan. Zha Fist consists of many defending and attacking leg, throwing, grapping, & hitting movements. Practising the movements, you need to understand the "10 Key Words"
Zha Fist is a wide-spread wushu in China. Many people in northern China are practising it. Its movements are splendid, tight, smooth, fierce, agile, & well-balanced. It trains agility, resistance ability, and bouncing ability of a person..